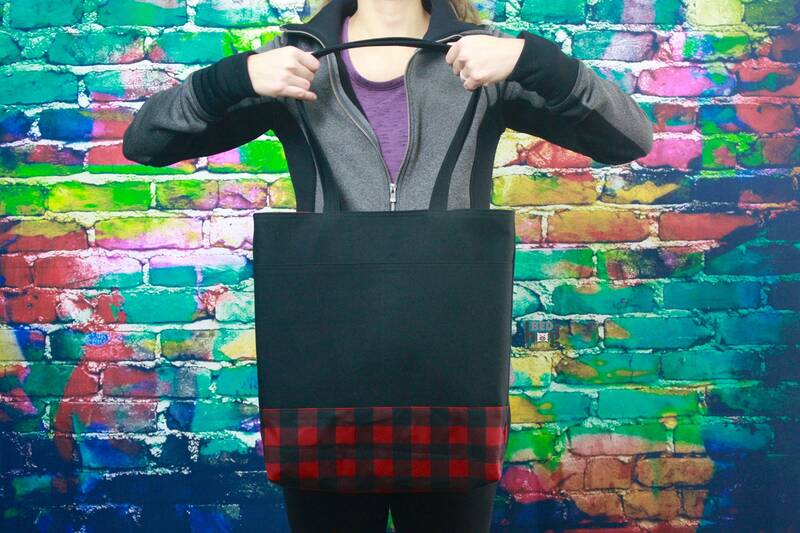 This simple yet elegant tote bag is perfect for everyday activities and incredibly durable. 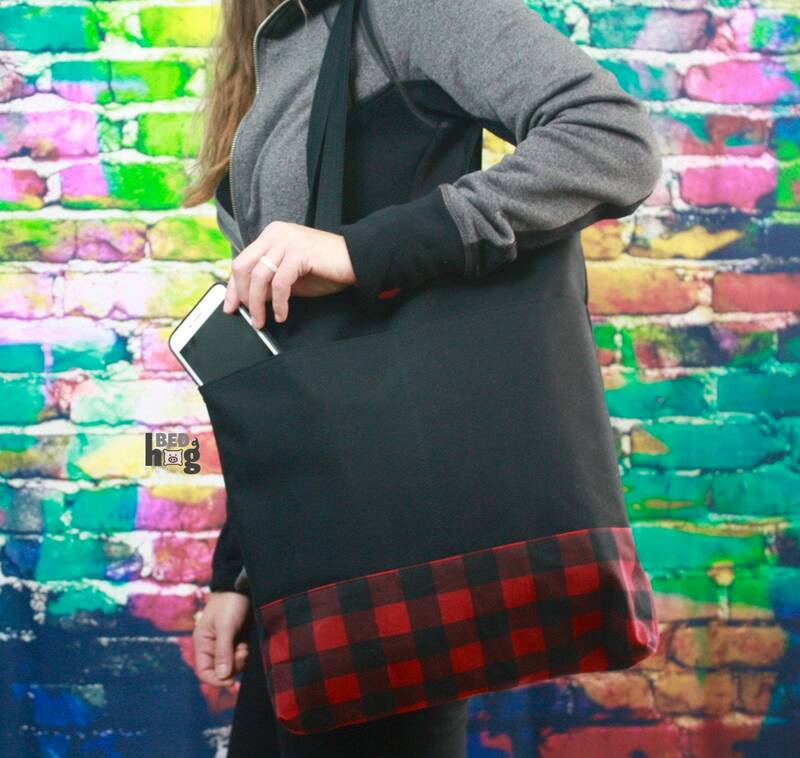 This bag features a large divided exterior slip pocket and one interior zipper pocket to hold your personal effects. The exterior bottom is black and red waxed canvas, known for its durability and ability to repel water. The interior has a seamless bottom construction making it even more durable. 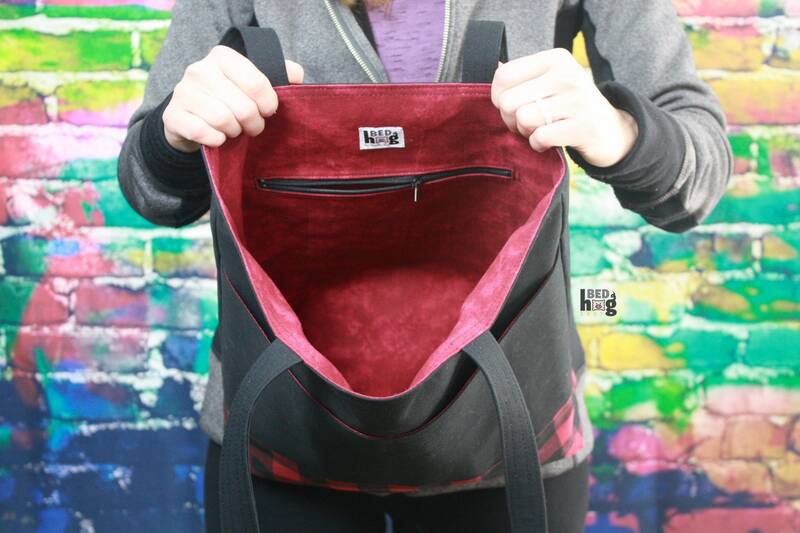 Solid black canvas exterior and straps, mottled red cotton interior and interior zipper pocket.